Whitby might not be the largest town in the beautiful county of Yorkshire but it is certainly one of the friendliest. The pub and café owners here have come to understand that you might want to bring your canine companions on holiday with you, and as a result many now welcome the furry members of your family with open arms and a bowl of refreshing water. Whitby landlords in particular love to cater for dogs so if you are thinking about bringing your pooch to visit us you’ll be made more than welcome at the following dog friendly pubs in Whitby. With fantastic sea views and very friendly owners, the Buck Inn is a pub that offers it all, whether you fancy a quiet drink during the day or karaoke and live entertainment at night. Dogs are welcomed throughout the week although they do have a curfew of 9pm at weekends, simply because the pubs gets very busy. The food is great value, with a menu to suit the whole family. The Endeavour pub is named after Captain Cook’s iconic ship that was famously built in Whitby and offers a lovely, family friendly atmosphere with lots of doggy cuddles. Here you can enjoy a range of beers and wines all day, and although the pub doesn’t serve food the landlord is more than happy for you to take your own lunch to enjoy on the premises (there’s an exceptional chip shop just a few minutes away). This small, traditional pub is always happy to provide a bowl of water to visiting dogs. Again, the range of food on offer is limited (although you can get bar snacks) but the good ale and excellent Guinness make up for this. There are two lovely rooms to enjoy your pint in and dogs are welcome in both. The Black Horse is popular with the locals so there’s always someone to chat with if you fancy learning about the hidden parts of Whitby. Situated close to the swing bridge and overlooking the beautiful harbour, the Dolphin is a lovely, airy pub with very dog friendly staff. Always on hand to provide a bowl of water and a few doggy biscuits for your canine companion, they offer great service to humans too! A traditional menu is available at lunch and dinner but if you fancy something light, such as a hot sandwich or a bar snack, then these are available as well. If you like your cask ales then this is the place to visit. Set back from the sea front, the Little Angel is a truly traditional pub that offers a wide range of cask ales on draught as well as ciders, wines and spirits. The food is great value and dogs are welcomed just as warmly as their owners. Being located on Pier Road, the Pier Inn offers lovely views of the harbour regardless of whether you choose to sit inside or on the pretty patio area. Good, traditional pub food is served both at lunchtime and during the evening and dogs are more than welcome in the bar area throughout the day. The pub does get very busy at the weekends so excitable dogs may be happier visiting on a weekday. The ‘pub that time forgot’, also known as the Golden Lion, is handily located close to the west side of the swing bridge. Possibly the most traditional pub in Whitby, you can enjoy a hand-pulled pint and a good meal here, and all in the company of your pooch. The locals that frequent the pub are all very friendly and happy to tell you the history of the ‘penny tables’ that have become a unique visitor attraction. 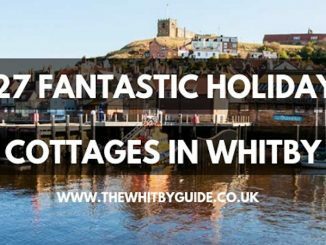 This Whitby pub is very popular with locals and visitors alike, making it a great place to stop off for a pint, a meal, a bowl of water for your dog and the inside info about places to visit in Whitby. Located close to the sea front and the town, it’s a convenient watering hole for families, couples and singles; serving good food and ale throughout the day. The Granby does tend to get busy during the evenings though so timid dogs might be better off lounging in one of the quieter pubs. If you love your award winning cask-conditioned ales then the Station Inn is a must. They offer 8 fantastic ales throughout the year in addition to the more traditional pub drinks. It is worth noting that the Station Inn has live entertainment 4 evenings per week and although dogs are welcome throughout the day some may be happier in a quieter pub during the evening. Food isn’t available at this particular pub however there are various nice eateries close by that also welcome dogs. The Wellington is a pub with two faces. During the day it’s a warm, traditional pub where you can enjoy a good meal and a pint surrounded by friendly staff and locals. As day turns to night though, the pub turns into a lively, music-filled venue that is hugely popular with the younger generation of drinkers (still has a very friendly atmosphere). Well behaved dogs are more than welcome and water is available on request. The management does recommend that you take your dogs out by around 6pm though, simply because of the loud music and dancing feet! Located at the top end of Church Street on your way out of town, the Fleece is a quiet, traditional pub and a popular local drinking spot. If you want to hear ageless fishermen’s tales while supping a good pint then this is the place to visit. Food isn’t served here but there are plenty of nice cafes close by, many of which will welcome your dog as happily as the Fleece does. Best described as quaint, the First In Last Out is a lovely traditional pub complete with dart board, quiz night (Wednesday), juke box and occasional live entertainment. Here you can enjoy a popular draught beer or sample one of the four real ales while watching a bit of TV and fussing your pooch. Unfortunately food isn’t available at the pub but the owners are more than happy for you to bring your fish and chips in to eat with your pint. With the by-line ‘scales & ales’ you know that the Abbey Wharf restaurant and pub is going to serve a good selection of seafood and beers! They also offer many more dishes and drinks for those of you who don’t really appreciate your seafood though so please don’t let this put you off. Their charcoal grill is famous throughout Yorkshire and as a result so are their steaks. Dogs are just as welcome as their owners at the Abbey Wharf, although even the best trained pups might struggle to keep their noses off the plates. Although not located in the centre of Whitby (about a mile up the coast), the White House is still worth a visit, especially as they welcome dogs with open arms. The Seaview restaurant offers stunning views of the North Sea and Whitby golf course, making it a lovely spot to enjoy a meal and a drink. The White House also has a lovely terraced area where you can make the most of the sunshine while your dog relaxes in the shade. Although not technically in Whitby town itself, the Windmill is still worth mentioning here as it is a very dog friendly pub/restaurant. 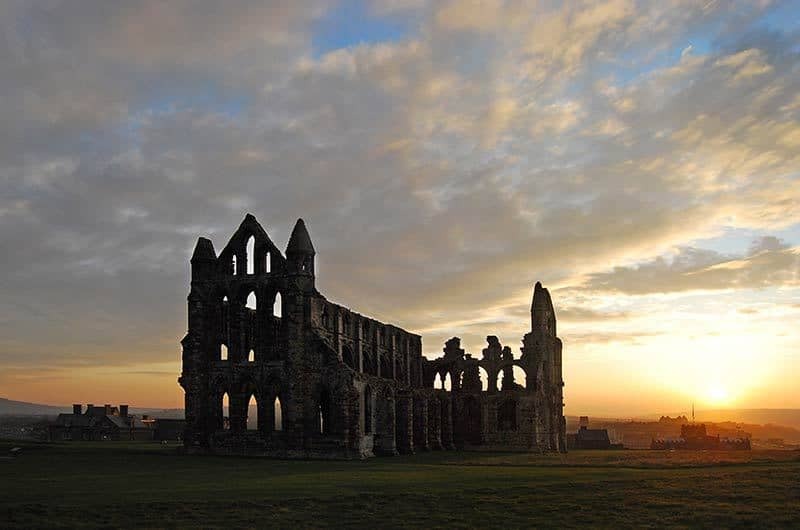 Located in Stainsacre, about 3 miles from Whitby centre, the Windmill is a stopping point on many of the beautiful Whitby walking trails. Dogs are welcome in the bar area and in the beer garden, with refreshing bowls of water being plentiful and free. Again, this pub isn’t actually in the centre of Whitby but its generous meal sizes and decent prices make it a great place to stop and eat. As with the Windmill, the Hart Inn is situated on many walking trails, making it the perfect spot to stop for a bit of refreshment. Dogs are allowed both in the bar and in the pretty beer garden. It is worth noting that this particular pub does get very busy during the summer months so if you definitely want to eat there it is advisable to book in advance. No doubt there are other dog friendly pubs in Whitby that we have missed off the list, so if you know of any then please do get in touch by adding a comment below. The Middle earth Tavern, church st. The Beach Hotel at Sandsend is a dog friendly pub/hotel. Thank you for your comment Lauren. I’ll add your suggestion to this article on the next update. Thanks Dan, I’ll add your suggestion to this article shortly. The Met Lounge and Ballroom is dog friendly and handy for walks on the beach. Hi Jane, I’ll add your suggestion to this article on the next update, if you want to submit a blog post regarding your establishment please email info@thewhitbyguide.co.uk and ill get it added for you.